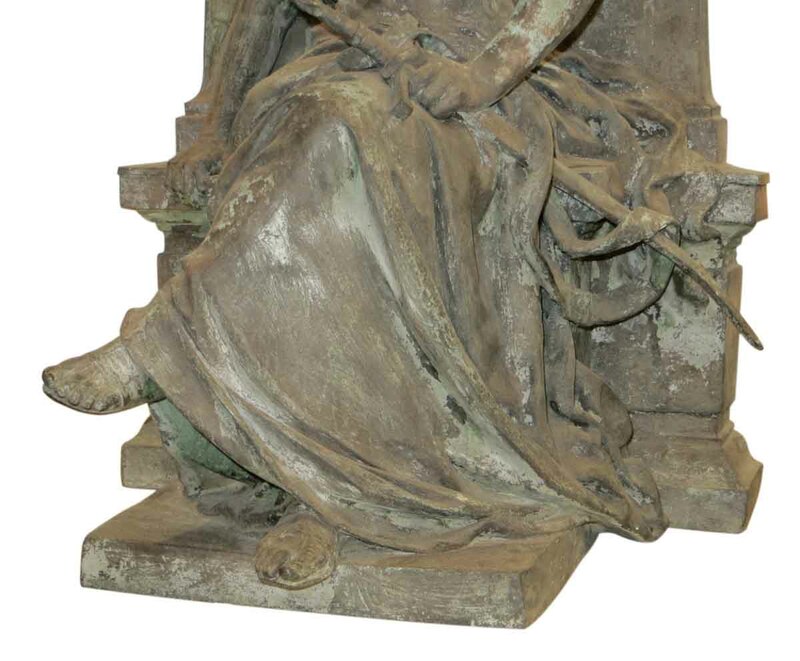 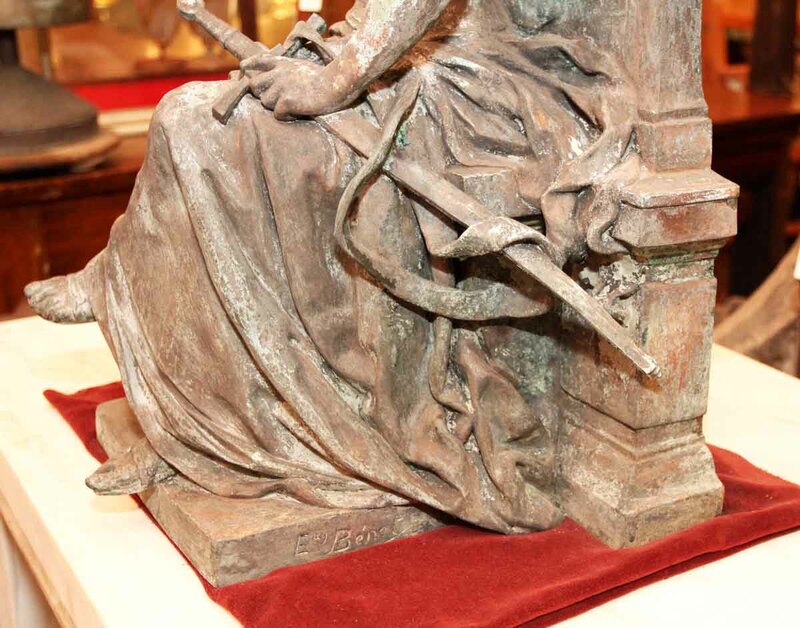 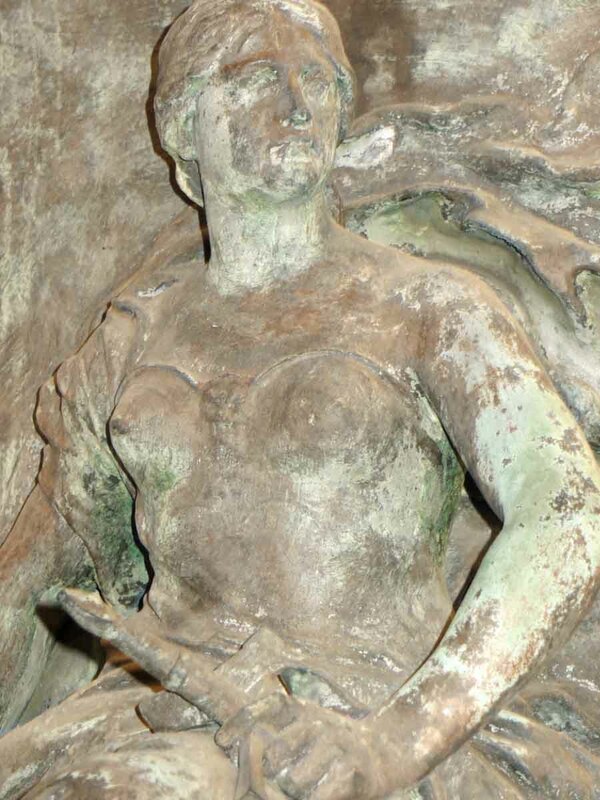 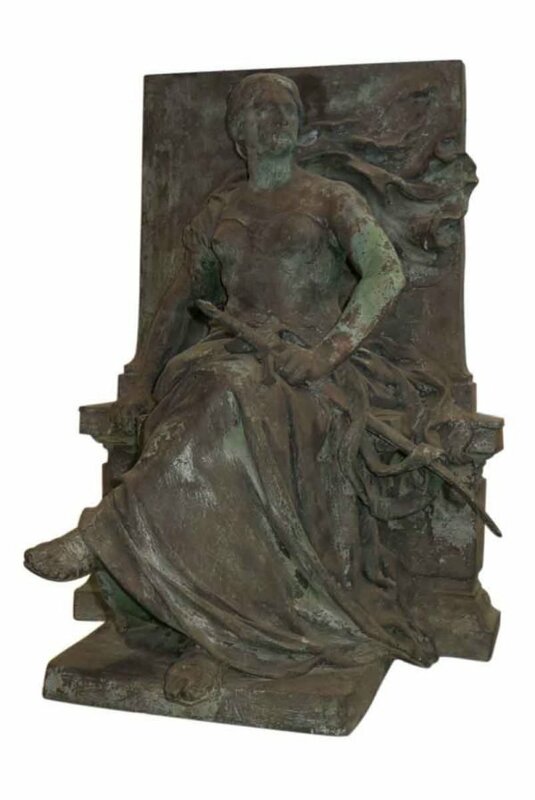 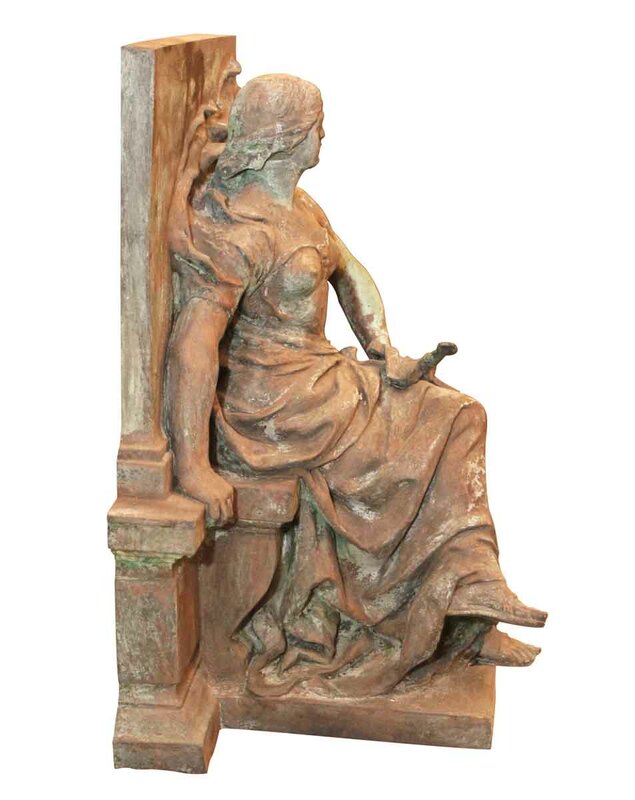 A very detailed bronze relief statue of a woman representing Justice. 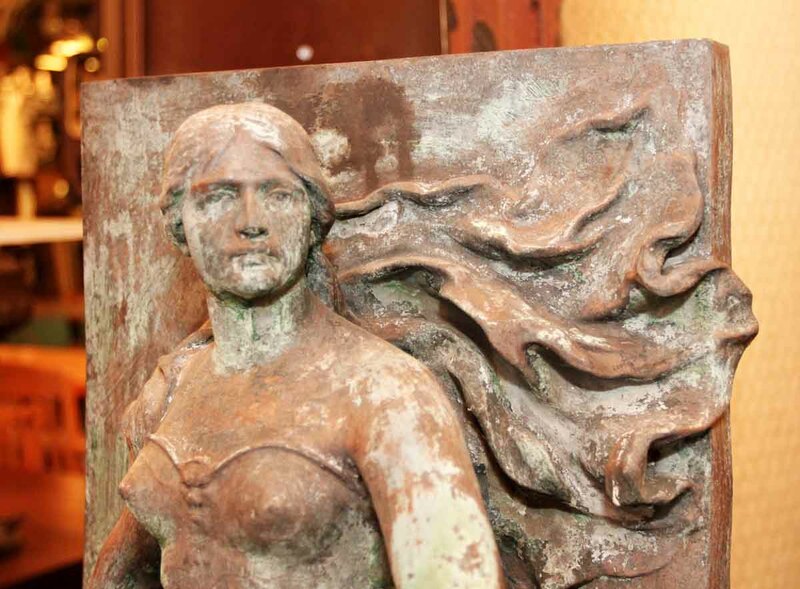 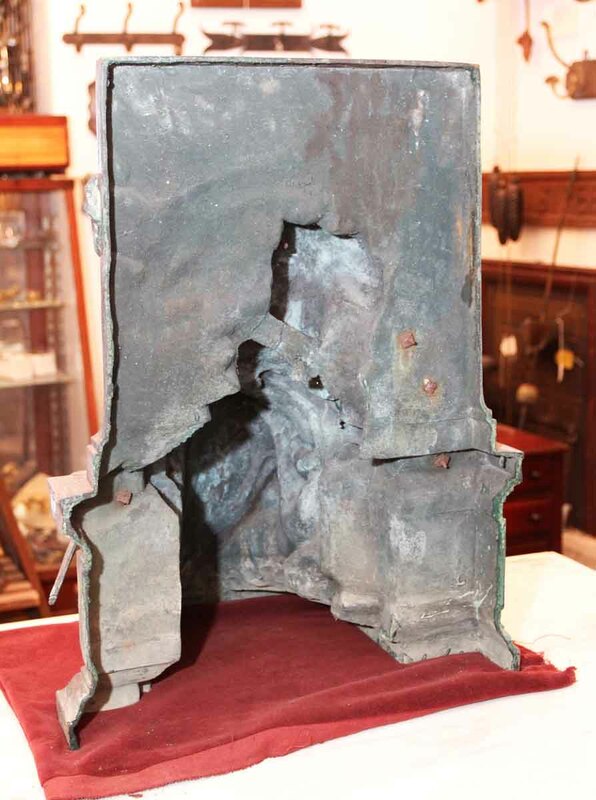 It has a natural verdigris patina and is signed by the French artist Eugene Paul Benet. 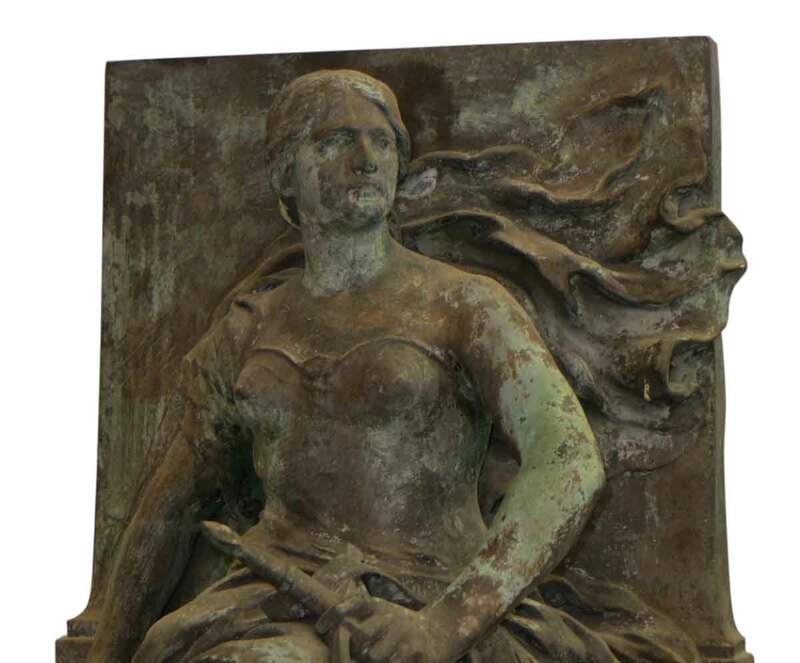 (Dieppe, July 13, 1863 Paris, 1942).